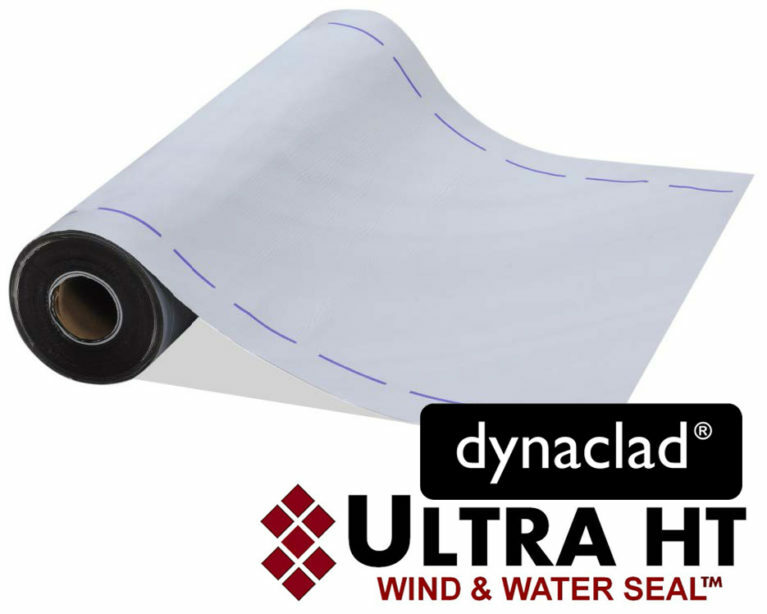 DynaClad® Ultra HT Wind & Water Seal™ self-adhering waterproofing Dimensional Metals, Inc.
DynaClad® Ultra HT Wind & Water Seal™ is a self-adhering waterproofing underlayment composed of a non-slip, cross-laminated polymer film, laminated to a high temperature, aggressive rubberized asphalt adhesive. 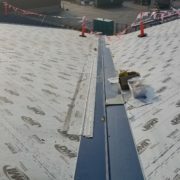 A protective split release liner is removed during installation. 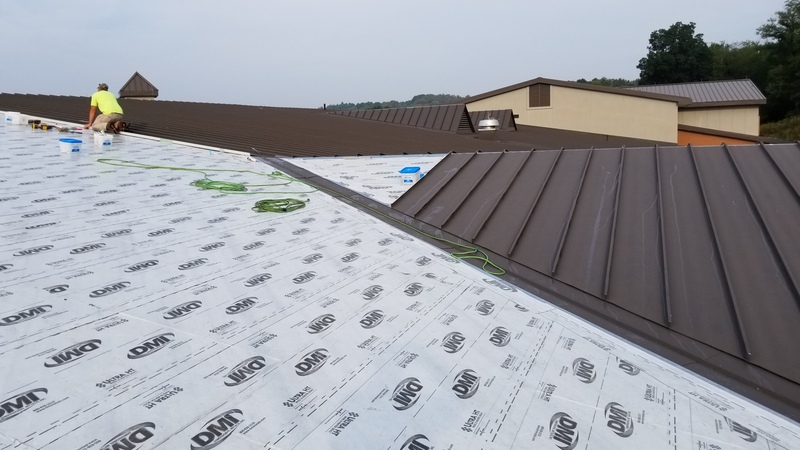 Ultra HT is engineered for use under metal roofing systems. 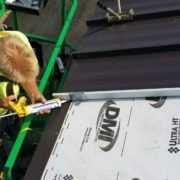 Ultra HT adheres aggressively to most clean, dry substrates including Rigid Insulation, Plywood and Metal Deck with cover board. 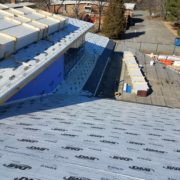 Prime masonry, OSB, exterior grade gypsum roofing products and aged metal surfaces as necessary to achieve good adhesion. 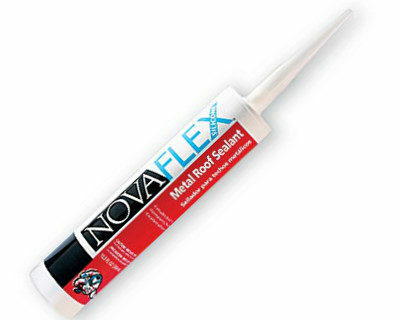 Product self-seals around punctures such as screws and nails. 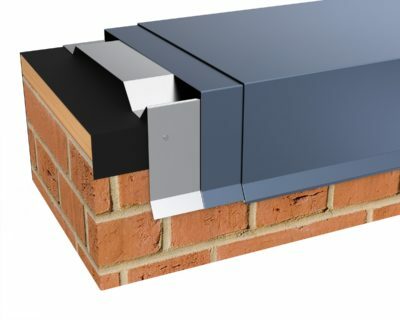 This advanced system limits damage caused by water penetration or leaks. 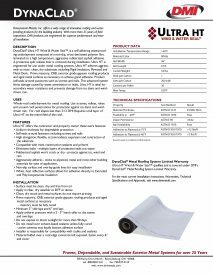 Ultra HT is ideal for secondary water resistance and prevents damage from ice dams and wind-driven rain. 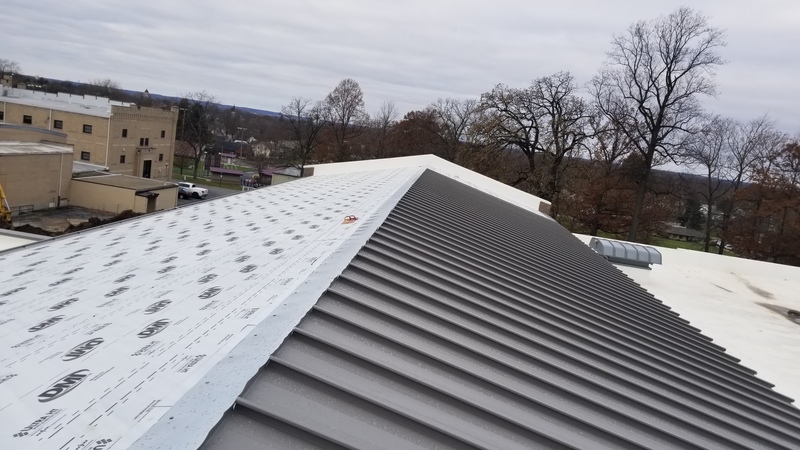 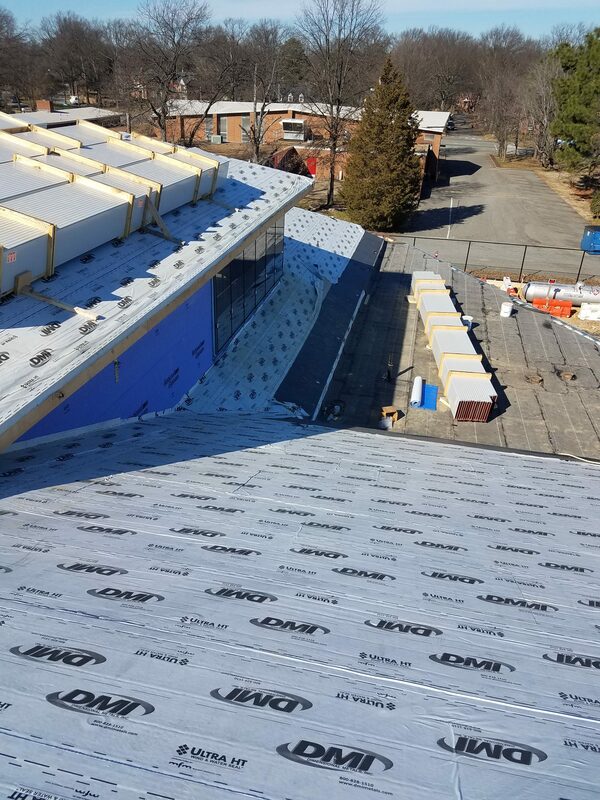 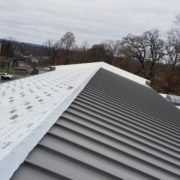 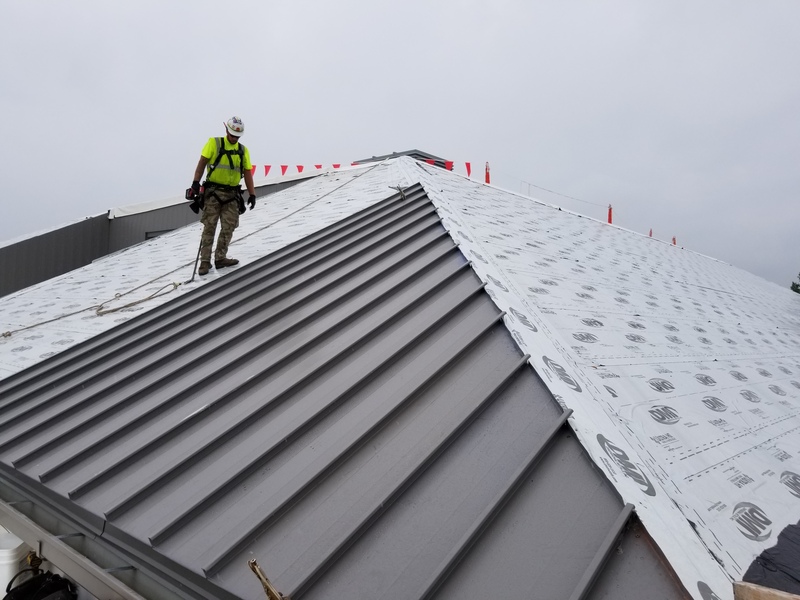 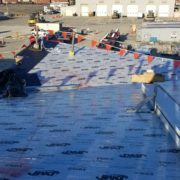 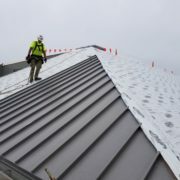 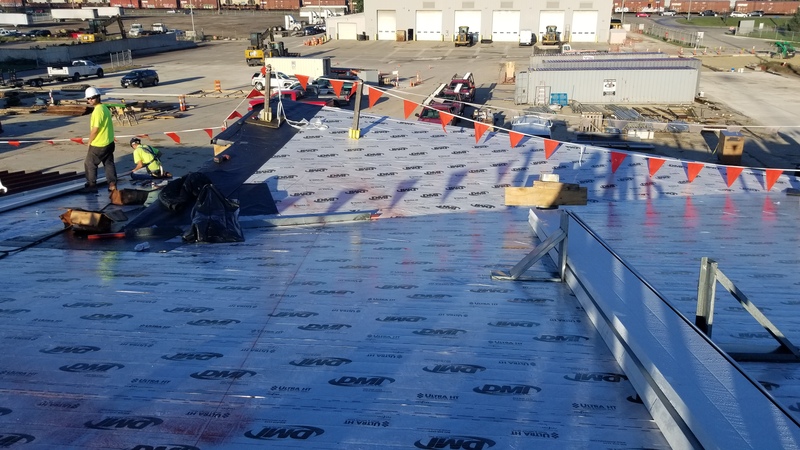 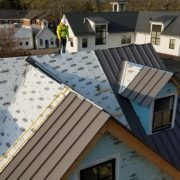 Dimensional Metals, Inc. offers a wide range of innovative roofing and waterproofing products for the building industry. 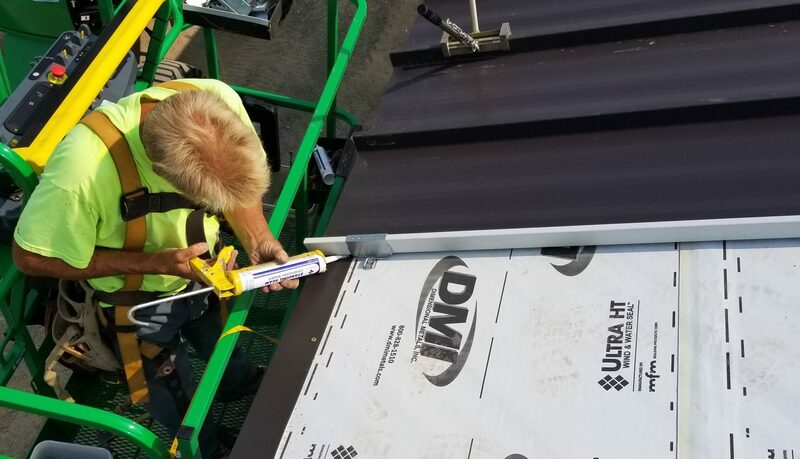 With more than 25 years of field experience, DMI products are engineered for superior performance and ease of installation. 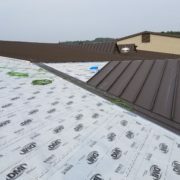 Ultra HT Wind & Water Seal™ qualifies and is covered under DMI’s DynaClad® Metal Roofing System Limited Warranty. 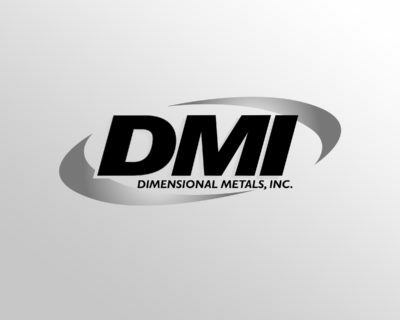 For the most current Installation Instructions, Warranties, Technical Specifications and Approvals, visit www.dmimetals.com. 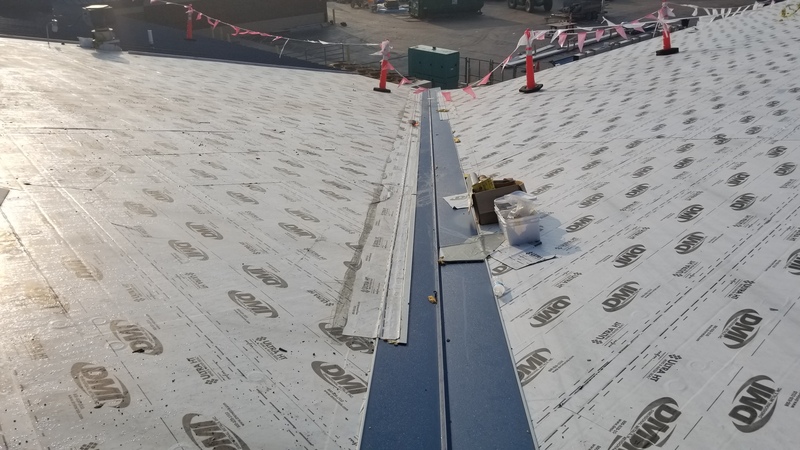 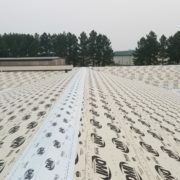 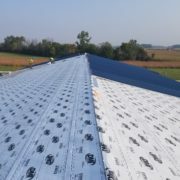 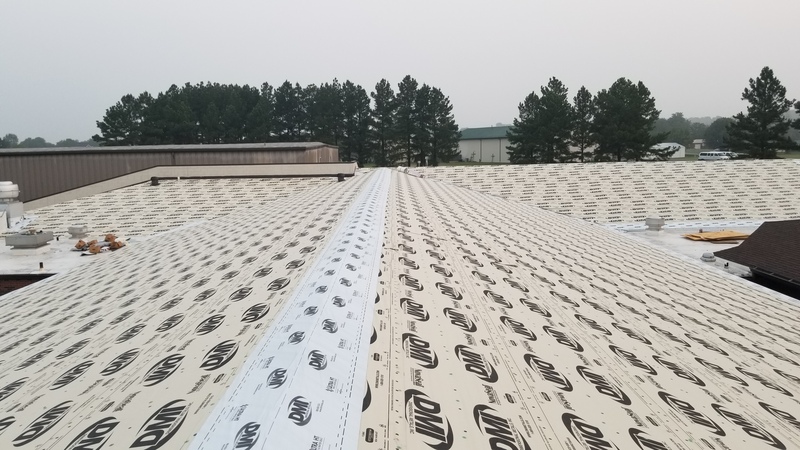 Whole-roof underlayment for metal roofing. 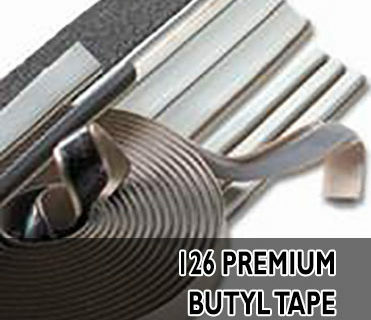 Use at eaves, valleys, rakes and around roof penetrations for protection against ice dams and wind-driven rain. 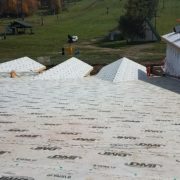 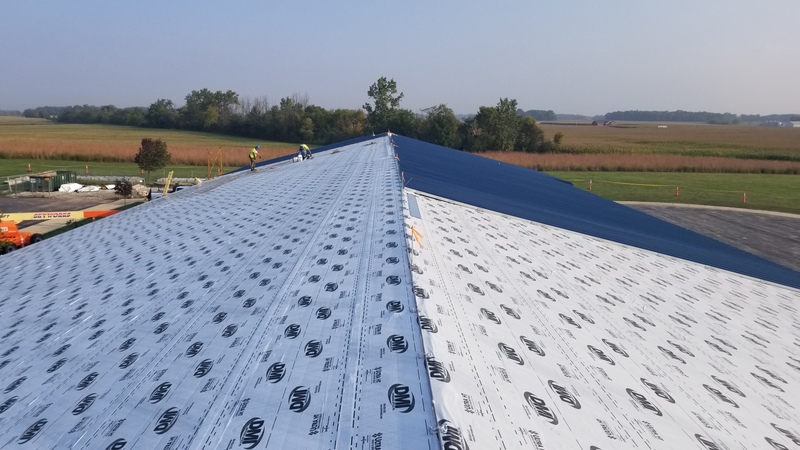 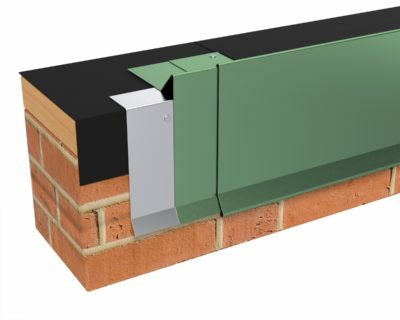 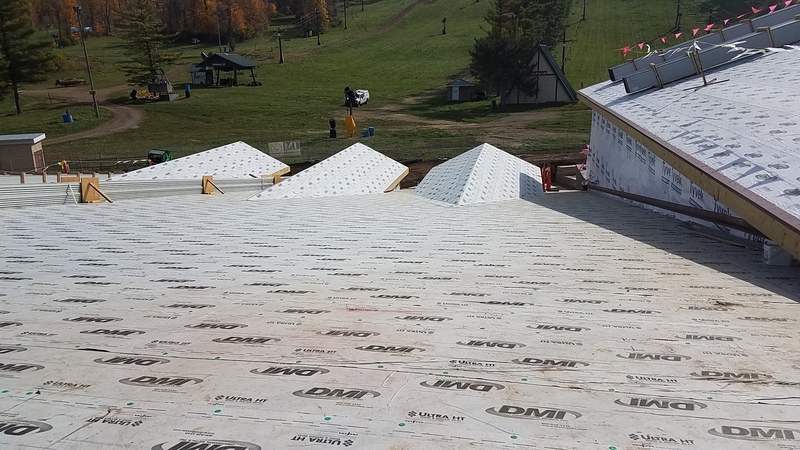 For roof slopes less than 3:12 DMI Requires a full layer of Ultra HT on the entire field of the roof. 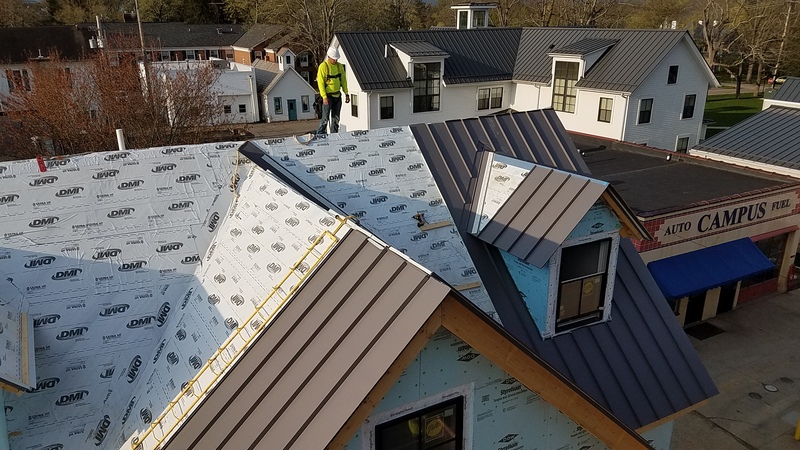 Rubberized asphalt won’t crack or dry – protects against ice, wind and rain • Aggressively adheres – sticks to plywood, metal and most other building materials for ease of application.